As you may have noticed from previous posts, as of this year we no longer homeschool because of circumstances beyond our control. However, we did for many years before, and I wanted to share with you one of my favorite homeschool rooms that we had. 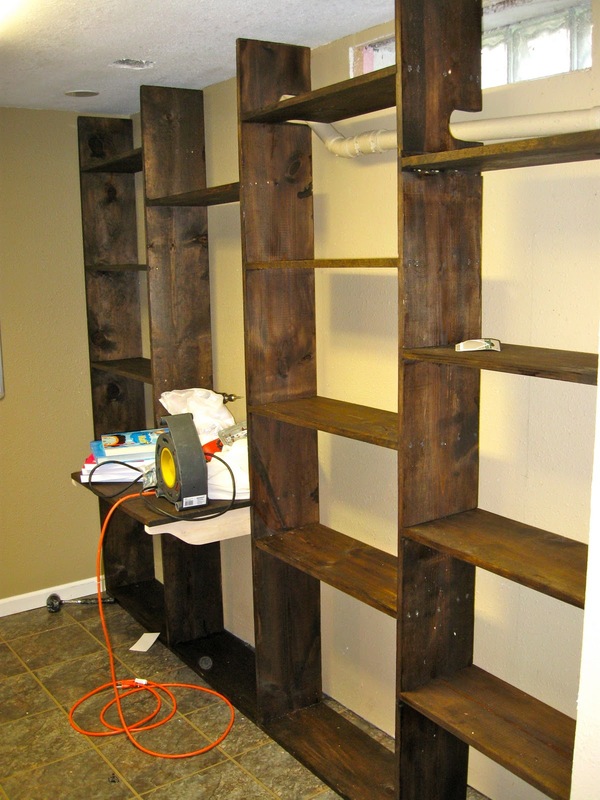 Getting the custom shelving unit up---it was all one piece. My husband designed it to fit around the pipes that came down from the kitchen. 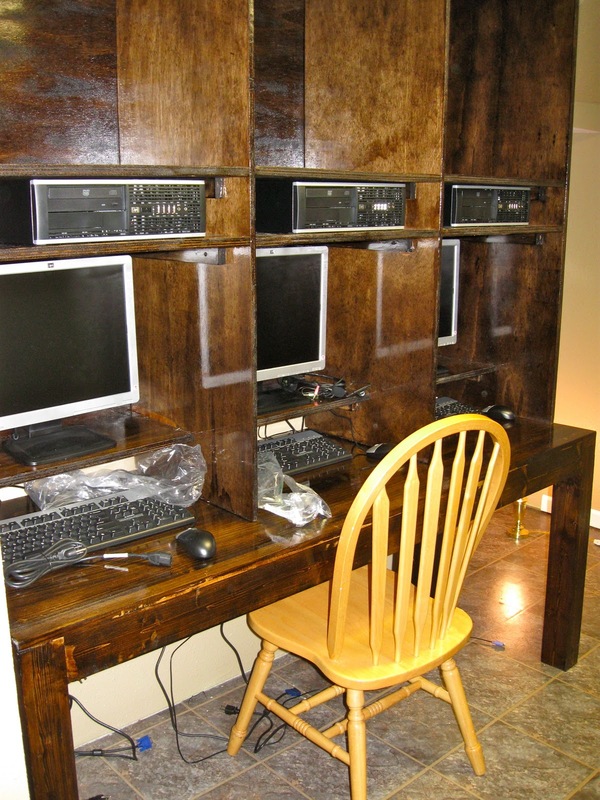 The computer desk that housed the 3 computers. We did k-12 that year, which was what spurred the creation of the room in the first place: Where were we going to put three computers? This was the solution. The other side, my little desk and all the school supplies. I loved that white board. It was a life saver! Well, if you need some inspiration, I trust this will get your mind going. We loved the layout, and it was perfect for the little space that we had. You guys organized that quite well and made it look comfortable and inviting for your kiddos. We have had similar setups, but mostly just with milk crates here and there. I send Ron your blog post in hopes it might inspire a little "Extreme Schoolroom Makeover" over his Christmas break. It would be neat to have this setup in our home, but close to where I am most of the time creating all our allergy-free food! 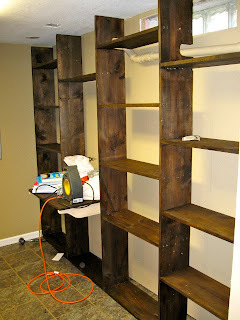 I have been working on my kids playroom and want to incorporate a study area for the kids and this is really inspiring. It looks like a space that they would really look forward to spending time learning. What a neat little area you have for them to learn. I like how organized it looks and that the kids have their own space.